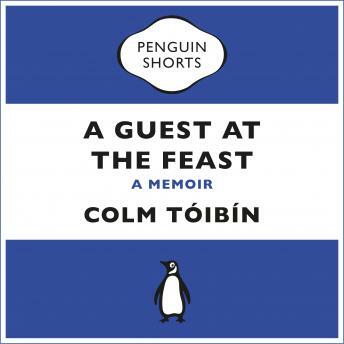 The unabridged downloadable audiobook edition of Colm Tóibín's touching memoir, A Guest at the Feast, beautifully read by the author himself. A Guest at the Feast moves from the small town of Enniscorthy to Dublin, from memories of a mother who always had a book on the go to the author's early adulthood, from a love of literature to the influences of place and family. Tóibín's captivating memoir is the story of a writer coming of age and his connections between home, work and love. It is a perfect gem of a book.